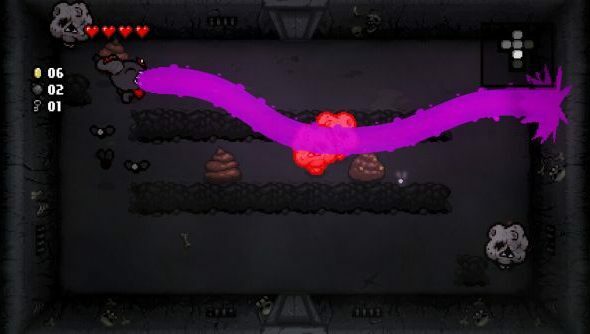 The next Binding of Isaac expansion is coming this year, named Afterbirth+. It’s got mod tools as the big drawing point, but plenty of the normal additions as well – particularly items. McMillen’s made 55 of his own to mix things up, but he wants some help. At least 10 items will be taken from a Reddit thread where the community is invited to submit their ideas. In the same blog post announcement, McMillen also gave a little tease for the newly announced Legend of Bumbo spin-off game. Between expansions and releases, the upcoming games list for 2016 is far too powerful. To submit your own items, head to this Reddit thread. McMillen says he’s really looking for weird, out-of-the-box ideas that will mix up gameplay significantly. He doesn’t want just powerful items that give a little boost or ones based off what’s been made previously with a little twist – frankly, I expect, he can and has come up with those himself. 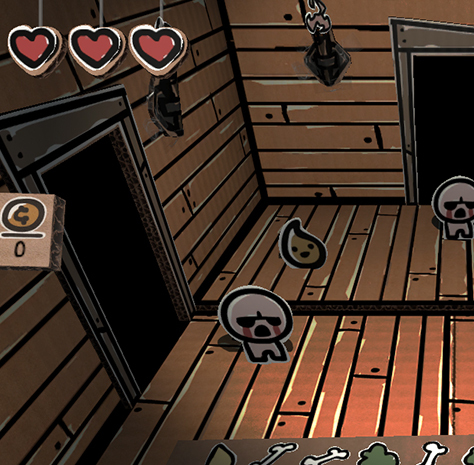 He’s planning to showcase a lot more of what’s coming in the update with a series of blogpost, similar to what he did for the first version of Afterbirth, over the coming months. He goes on to say that when he says RPG, he means similar to Isaac, and offers two different definitions: “randomly generated turn based puzzle strategy” or “poop based punching sim.” Make of those what you will, but they both sound fascinating to me. It looks like both this and Afterbirth+ should be out this year.